With the release of SQL Server v.Next public preview on Linux and Windows, the ability to connect to SQL Server on Linux, Windows, Docker or macOS (via Docker) makes cross-platform support for all connectors, including .NET Framework and .NET Core SqlClient, even more important. To enable C# developers to use the newest SQL Server features, we have been updating SqlClient with client-side support for new features. In .NET Framework, we have provided client-side support for Always Encrypted and added Azure Active Directory as an authentication method. We’ve also added a new connection string parameter called “Pool Blocking Period.” It can be used to select the behavior of the blocking period when connecting to Azure SQL Database and SQL Server. Many applications that connect to Azure SQL Database need to render quickly, and the exponential blocking period can be problematic, especially when throwing errors. By adding the Pool Blocking Period parameter, we aim to improve the experience for connections to Azure SQL Database. Learn more about the new parameter here. .NET Core is the cross-platform, open-source implementation of the .NET Framework. The project includes CoreFX, the foundational libraries of .NET Core. Cross-platform support allows developers to seamlessly run applications on their operating system of choice, regardless of the platform it was developed on. For example, an app developed on Windows can be deployed to macOS and Linux, without ever having to port any code. To connect apps written in .NET Core to SQL Server (hosted anywhere), developers can use System.Data.SqlClient available in CoreFX. By developing in .NET Core on GitHub, we have been able to get feedback quickly and are actively working to enable the breadth of application scenarios and workloads. Check out CoreFX on GitHub! Make pull requests and let us know what you think. Join the conversation at https://gitter.im/mssqldev. Visit the Connect(); webpage to watch overview, security, high-availability and developer tools videos about SQL Server on Linux on demand. 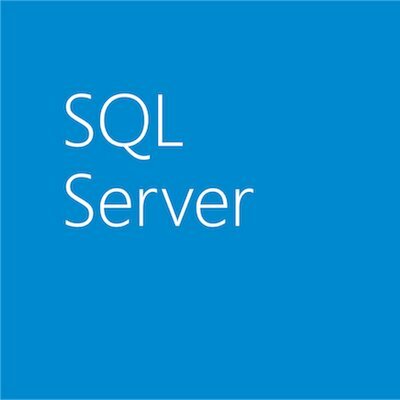 Visit the webpage for the next release of SQL Server. Watch the Microsoft Mechanics video to see how to get started with SQL Server on Linux in less than a minute.